Play the big hit, see, and nobody gets hurt. At the Bill Graham Civic Auditorium on Saturday, the Verve -- the biggest band in the world for about six minutes a few months ago -- ended its perfunctory 90-minute set with a protracted rendition of "Bitter Sweet Symphony," the blockbuster sing- along that became an athletic-shoe commercial almost as quickly as it hurdled the pop charts. It was exactly what the audience wanted, expected and got. 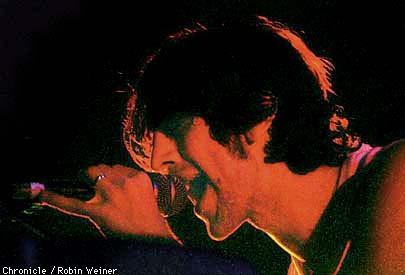 The Verve has an obvious love-hate relationship with its breakthrough hit. Midway through the set -- the band's second trip to town since the song's ascent -- front man Richard Ashcroft spat out a brief "Bitter Sweet" diatribe, dedicating one of his band's earlier songs to "the old fans, the people who've stuck with us from the beginning." Not the ones, he grumbled, who became fans only after "Mr. Allen Klein figured we were gonna sell someone's trainers." That left the Verve -- the latest in an endless parade of post-Stones British bands to loudly declare itself the world's greatest -- in a sour mood. Perilously close to self-destruction ever since it debuted with a series of hit singles in England six years ago, the contentious band seemed resigned to its own demise at the Civic. 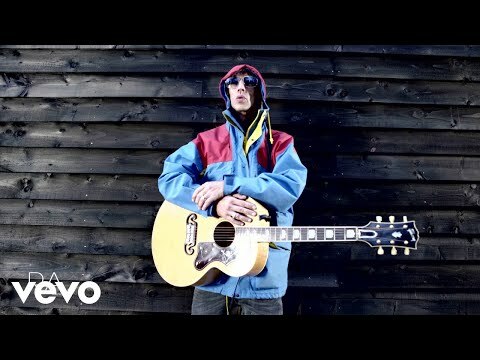 "I just can't make it alone," wailed the rangy Ashcroft on the opening song "Space and Time," his eyes obscured by the down- turned brim of a floppy hat. In fact, though, he seemed perfectly ready to strike out on his own. Once firmly rooted in the "shoe- gazer" mold of early-'90s British guitar bands, the Verve has swapped much of its feedback indulgence in favor of Ashcroft's soccer-stadium balladry. On Saturday, the band played its songs of vague conviction with mechanical precision. The current tour has been plagued with problems. The guitarist and founding member Nick McCabe recently quit the band, to be replaced by a hired gun, the pedal-steel player B.J. Cole. At the same time, the scheduled opening act Massive Attack jumped ship to headline its own tour. Without another live act on the bill, an anonymous DJ warmed up the not-quite-capacity Civic crowd with a curious mix of funky hip hop and obscure rock 'n' roll bluster. A slide show of Verve snapshots flashed on two screens overhead, alternating with random celebrity images (Peter Sellers, the home run tandem of Mickey Mantle and Roger Maris) and some witless slogans ("Rock On," "Let It Happen," "Splendid!"). Taking the stage to a crackling vinyl version of Jimmy Cliff's "Many Rivers to Cross," the band played almost all of its breakthrough album, last year's "Urban Hymns," as if marketing research showed that few ticket-holders knew the older material. Just a couple of selections -- "History," "On Your Own" -- came from the 1995 album "A Northern Soul," and none at all from the '93 debut "A Storm in Heaven." The band got enthusiastic applause for a few of its catchiest songs -- "The Drugs Don't Work," "Lucky Man." The stork-like Ashcroft pumped his sinewy arms and bounced on the balls of his bare feet, and some fans waved their arms in appreciation. In short, the event unfolded like the scripted version of a successful rock show. While the Verve prides itself on a dangerous image, Saturday's show was about as dangerous as a trip to the multiplex.